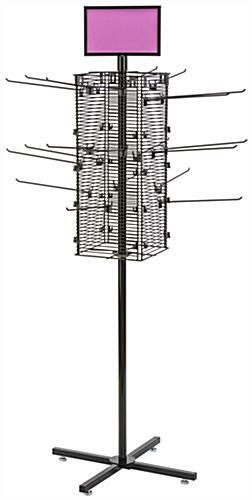 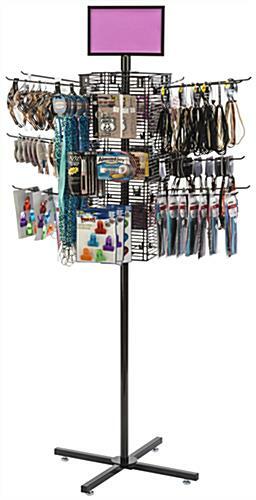 This revolving grid rack features (20) 12” pegs for hanging rackhole product styles in varying configurations for an array of merchandise. 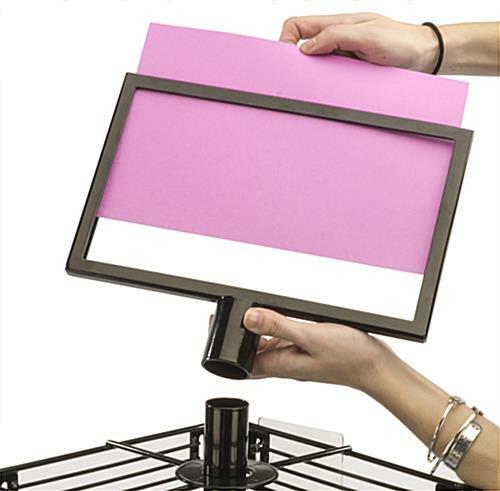 Advertising and promotions are easily announced using the top-loading header attached to the stylish black fixture. 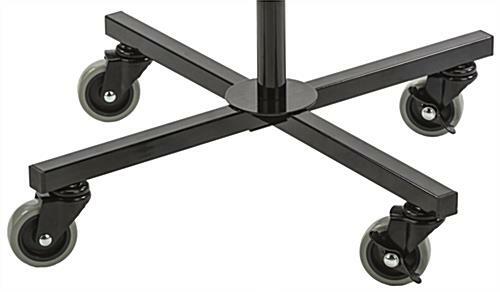 Each grid rack display has four casters for easy transport and four levelers for the folding cross base to keep the stand fixed. 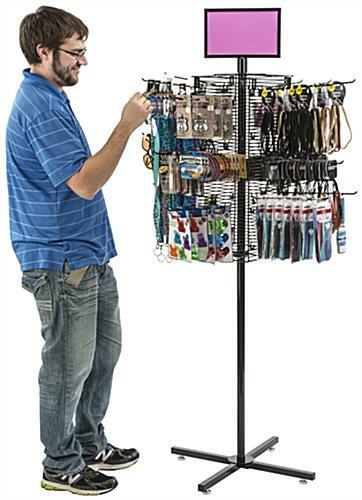 This wire spinner has four sides, providing customers with convenient browsing even if more than one guest is visiting the station. 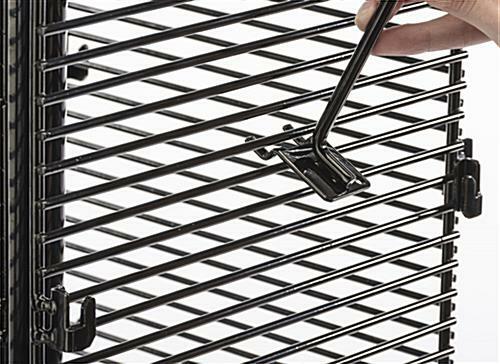 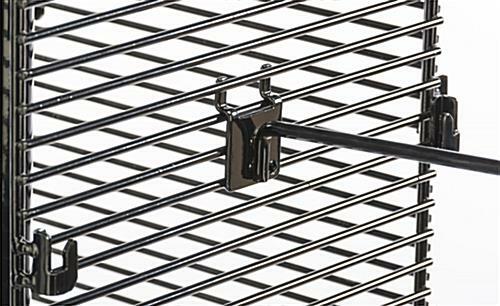 This grid rack, also known as a store display, has black powder coating and a smart, contemporary look. 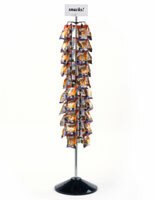 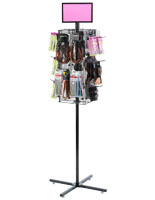 Buy a wire spinner for your store and boost sales immediately!